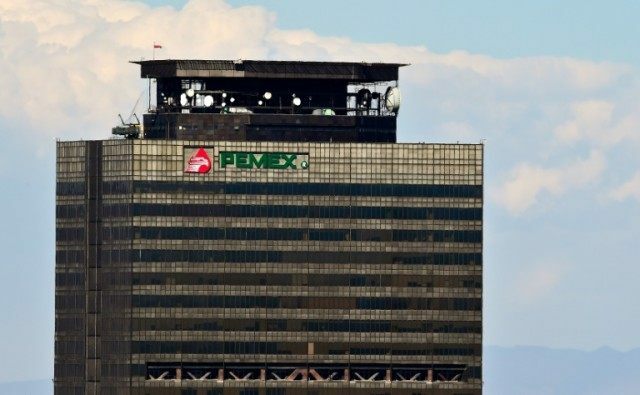 Mexico City (AFP) – Mexico’s government on Wednesday announced plans to provide $4.2 billion in liquidity to struggling state-run energy firm Pemex, which has posted huge losses amid crumbling production and oil prices. The finance ministry said Pemex will receive a capital injection of $1.5 billion and a credit facility of $2.7 billion to cover pension costs this year. The announcement follows the company’s decision in February to cut $5.5 billion from its budget, in large part by delaying costly projects. “Pemex has historically been a fundamental institution for the Mexican economy and the nation’s public finances,” the finance ministry said in a statement. “However, the unfavorable economic conditions that the hydrocarbon sector is going through at the international level and the depletion of various (oil) fields have weakened Pemex’s financial situation,” it said.